The last fortnight or so has been busy down here in the West Country not only from a work perspective but also on the Charity Auction front. We conduct loads between us across the company because we love to assist our local communities and the charitable organisations within them. 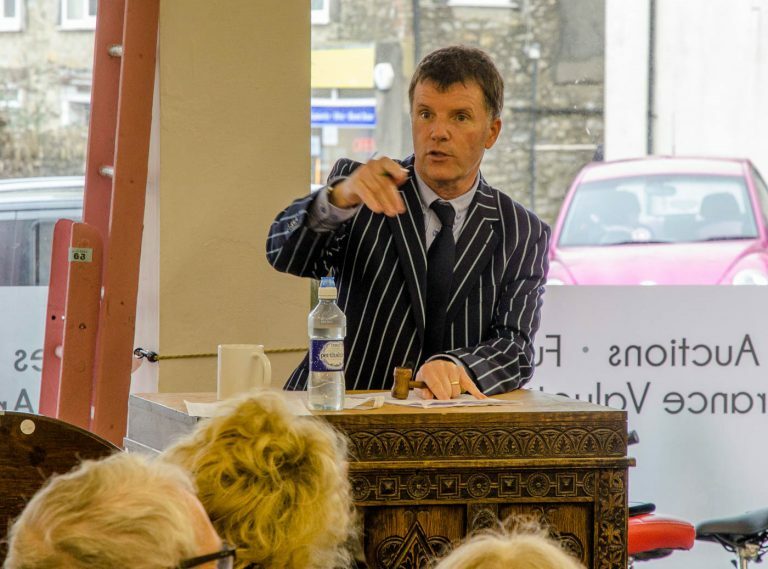 My hunch is that I do the most with pretty well every alternate weekend being spent at some point on the road heading off to deploy my own brand of auctioneering to the benefit (hopefully!) of those less fortunate than the majority. However, there was a flurry recently and I did three Charity Auctions in less than two weeks with the variety of lots hardly ever being broader. The first was up in Malmesbury for the Jemima Layzell Trust which supports children with brain injuries. The organisers had friends in the world of TV and one of them had been able to source a smart looking tricorn hat albeit with a sweaty ring around the inside ! But this wasn’t any old tarnished piece of headgear. The hat in question had been worn by the man himself, Aidan Turner, during filming of the hit drama ‘Poldark’ set in Cornwall. The stain didn’t appear to hamper enthusiasm with a clutch of disproportionately excited ladies pushing the price up between screeches to an amazing £660. The second was down in Budleigh Salterton where after a round of golf with Formula One World Champion motor-racing driver, Damon Hill, I was asked to conduct an auction for the Down’s Syndrome Association and Down Syndrome International, both being charities very close to Damon’s heart. The star lot in my mind albeit not the most expensive was a black and white signed photo of Damon’s father, Graham Hill, taking a walk in Monaco through a thunderstorm. He was dressed in ‘average Joe’ clothes carrying a holdall and getting absolutely drenched without a hint of, “I’m a Formula One World Champion, why am I out in this and why isn’t someone carrying my bag ?! A very extraordinary, regular chap. Then finally on Friday night, coincidentally at the Woodbury Park Hotel and Golf Club, the former home of Nigel Mansell, another Formula One World Champion, there was a fund-raising evening for the eye charity, See The Future. After a lovely dinner there was the auction and amongst the usual hampers of goodies and vouchers was a calendar signed by some ladies who support the charity. But it wasn’t any old calendar. These fantastic women had removed their clothes and adopted various poses discreetly around East Devon all in aid of the charity they hold so dear. None of them were used to the inevitable sequence of events involved in the shoot and most were strangers, but following the adventure a whole host of long-lasting friendships are firmly in place. A very happy man bid £200 and had his photo taken with all the signatories, his smile was perhaps the widest on show during the evening and for the avoidance of doubt, the dress code of formal evening wear remained in place at all times ! Back to the office for me until the next one !